Dr Brian Cave and Dr Cynthia Pauley at Brookside Dental, Bellevue, WA, have been selected by Seattle Met Magazine as Top Dentists in 2018 for the eighth straight year. Dr Cave and Dr Pauley were first selected by Seattle Met Magazine as Top Dentists in Bellevue Washington in 2012. Most recently they were selected as Seattle Met Magazine Bellevue Top Dentists in 2017. Dr Cave and Dr Pauley, of Brookside Dental, Bellevue, WA, were selected as 2018 Top Dentists by Seattle Met Magazine in both the General Dentist and Cosmetic Dentist categories based upon the very high quality of dentistry that they provide their dental patients. 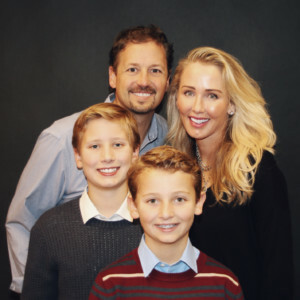 Both dentists are passionate about designing beautiful smiles using state of the art modern cosmetic dentistry techniques as well as providing excellent preventative and restorative dentistry for the entire family. They put a strong emphasis on preventative dentistry as well as creating beautiful smiles for people. The beautiful smiles that they create can be seen in the Brookside Dental Smile Gallery. In addition to this being the eighth Top Dentist Honor from Seattle Met Magazine, both Dr Cave and Dr Pauley have been selected for several years in a row as USA Top Dentists starting in 2011 and receiving the honor most recently as USA Top Dentists in 2018. The Seattle Met Magazine Top Dentist listing criteria is based on an extensive survey of dental professionals in the general dentistry field as well as all of the various dental specialty fields. Inclusion on the Seattle Met Magazine Top Dentists Select List is composed of the best dentists as selected by their dentistry peers from four Washington State Counties in the Puget Sound Region. These counties which are King, Snohomish, Pierce and Kitsap are all in the greater Seattle Region. The Bellevue dentists, Dr Cynthia Pauley and Dr Brian Cave, have their professional listings available in the Top Dentists Section of the Seattle Met Magazine website which has additional dentistry information available on the magazine website. There is no fee or charge for inclusion on the Top Dentist List and dentists are not able to buy a position on this prestigious top dentistry list. Listing as a Seattle Met Magazine Top Dentist is only obtainable by voting recognition of dentistry peer professionals. Both dentists at Brookside Dental have been delivering outstanding top dentistry to their patients for over twenty years, which has been noted by the votes they received from their fellow dentists. Dentists with the highest average ratings were vetted for active dental licenses and good standing in Washington State before they are selected for the final Seattle Met Magazine Top Dentist List. Additional detailed information about these two Top Dentists, Dr Cynthia Pauley and Dr Brian Cave, may be obtained at their Brookside Dental website at https://www.brooksidedental.com or on their dentistry blog. Examples of the beautiful cosmetic dentistry that these dentists have done for people may be seen by going directly to their website Smile Gallery where various types of cosmetic dental procedures are displayed with patient before and after photos. Cosmetic dentistry based upon the very high quality of dentistry Surgery Services that they provide their dental patients. We read your article and that is really very informative, thanks for sharing such a nice Blog. Andy, thanks for the nice comment about our Top Dentists. Dr Cindy Pauley and Dr Brian Cave have been selected as Seattle Met Top Dentists for nine straight years by their peer dentists. Again thanks for the great comment and for visiting our blog.